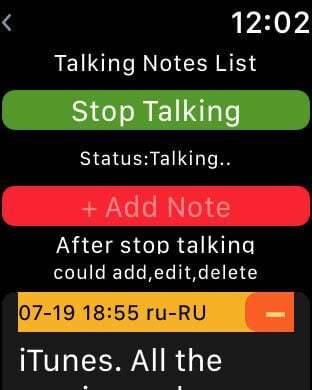 This app includes the talking watch, talking reminder, talking calculator, talking counter, talking timer, talking location, talking notes and talking sound for iPhone, iPad and Apple Watch. This App could talk in more than 20 languages. In iPhone or iPad, Talking Watch and Talking Reminder could talk the time in the background status when Apple Music is playing the song or when the device is locked.In one hour, talking watch could talk once, or twice, or three times, or four time, or fifth time, or six times, or 12 times. Talking reminder includes one time, interval, every hour, every day, every month reminders.Talking reminder could report the time or talk the text message at the Indict time. The talking timer includes the count up second timer, the count down second timer, the count up minute timer, and the count down minute timer. 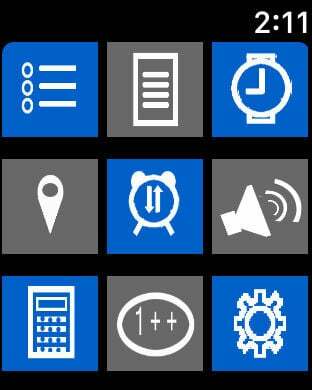 Talking Timer for Apple Watch could talk and count every 1, 2, 3, 4, 5, 6, 7, 8, 9, 10, 20, 30, 40, 50, 60 seconds. In Apple Watch,after starting Talking Watch or Talking Timer, we need to press the Digital Crown immediately in order to make the App to run In the background status. When talking watch, talking reminder or talking timer is running in the background, we could hear the sound of clock every second. That means, the app is running correctly. iOS Talking Sound:Record the sound file and write the text note for the sound. If the sound is record from Apple Watch. The sound file will be transferred to the iPhone automatically. Talking Notes in the Apple Watch,iPhone and iPad could talk when the device is locked. Input our daily text notes. Select the talking languages you need. 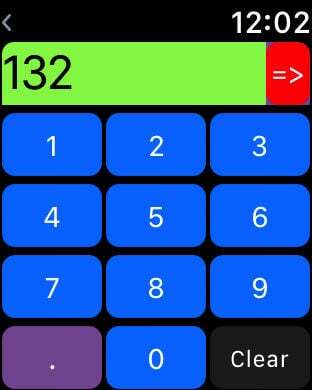 Talking Calculator in the Apple Watch,iPhone adn iPad. Talk in English only. In the iPhone and iPad, the digits and operators are listed in one view. In Apple Watch, the digits and operators are listed in the different views. After we input the first number, the calculator will display the operator view automatically. After we input the operator, the calculator will display the number view automatically. We could select the input delay time from 1 second to 5 seconds. After the result of calculation is displayed, the red -> button will be displayed at the upper right corner, then we tap this red -> button, the operator view will be displayed, we could use the result to calculate again. For example, (2+4)*5. the calculator will talk more than 20 languages. In Apple Watch, after opening the counter view, tap the large button, the counter will plus one number. If we tap the button again, the counter will continue to plus. According to the default setting, the counting result will be record. So when we tap the close button, the result of counting will not be reset. Next time, when we open the counter view, the counter could continue to count. Only when we tap the reset button, the counting result will be reset to zero. 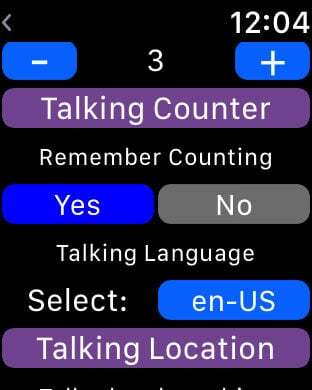 In Watch,iPhone and iPad, We could select the languages for the talking counter from the general setting view. Talking Location for Apple Watch,iPhone and iPad. Talk the longitude and latitude of current location.If the watch already connects with the high speed internet, the location name will be talked soon. If the internet connection is slow, after a longer time, the location name will be talked. If no internet connection, the location name will not be talked. 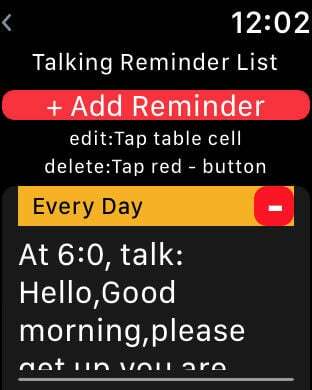 Talking Reminder in the Apple Watch. It is a notification reminder specially for Apple Watch.